This book is one of the best I've read in years. 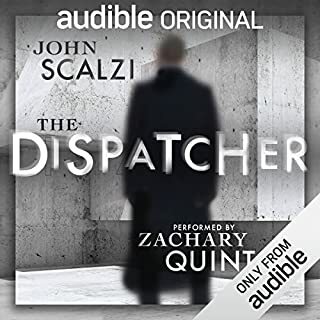 I recommend a print copy along with the audio, because there are a lot of characters to keep straight, and it helped to be able to look back. 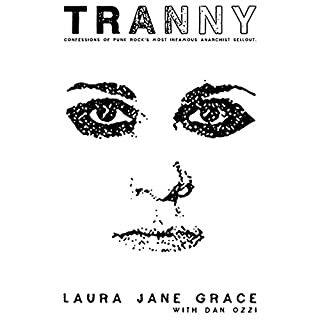 Laura Jane Grace is so inspiring, and I am so glad that she has shared her experience with us. If I were to change one thing about the audio book, I would have used the format to its fullest and incorporated music and lyrics more. Especially when she brings up a specific song. I bounced between this and the music quite a bit, which enhanced my reading. I agree with Bernie so much that it is painful to hear his platform so completely laid out and make so much sense. 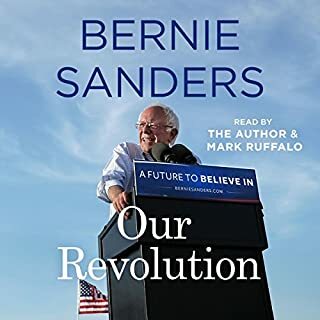 However, this might be a bit too dry at times, and I wish that Sanders read the whole thing -- I did not like Ruffalo's sections too much. He does not hold the same gravitas that Sanders holds. This was fantastic! 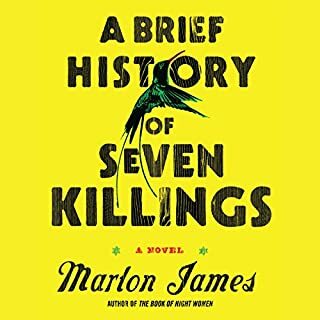 I picked it up as an Audible freebie, and was expecting to kill a couple of hours and not really pay much attention to it. What I got was a tight, amazing science-fiction story that does not spare time for useless side stories or unnecessary interactions. Everything in this book makes sense. Scalzi first makes the science fiction claim (anyone murdered comes back to life), and holds to that rule. There are no flaws in logic that I caught, and the only loophole that you can really say is discussed within the story. It has been years since I have picked up a sci-fi book and not found a million plot holes littered throughout. On top of the amazing premise, we are given characters who actually are impactful. Even characters who only are around for a chapter have personality and are interesting -- which is even more impressive considering the brevity of the novel. I had never read Scalzi before, so I didn't know what I was getting into. But if his longer fiction reads as well as this novella, I will probably pick up everything he offers. This was a weird, weird story with an unsettling protagonist and confusing narrative. At times it is gorgeous, like the conversation about losing ourselves to the darkness or simply creating it. At others, I enjoyed the pure ridiculousness of it all -- I just about died when the helicopter dropped on the house like some kind of Black Hawk Wizard of Oz scenario. Or the Hasidic Jew on the Run in South America was a great scene that ultimately went nowhere. 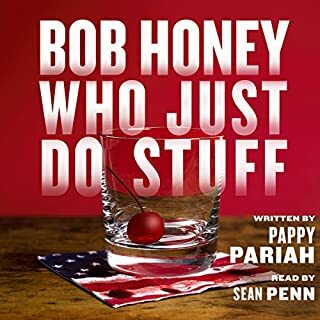 I have to say that I didn't /get/ a lot of Bob Honey's story. Logically, I put together a lose timeline, and I understand that this isn't supposed to be literal. But what message Pappy Pariah (or more likely Sean Penn) wanted to leave me with is kind of muddled. Am I supposed to root for Bob Honey? Who kills elderly people with a mallet? Sean Penn's throaty, mumbly voice is hard to follow at times (especially at the beginning). I did enjoy the cut ins from the "robot voice" and I loved the fourth wall breaking that happened when this voice was called out. The rest of the cast isn't in it much to make note of, but the did an alright job. This book was fantastic. Hashimi has a perfect grasp on tension, because she alternated between Rahima and Shekiba at the exact moment that I felt she needed to. Both stories are incredibly well told, and the writing is definitely gripping. This is not an easy book to read. The lives of these two women are not easy, and often I just felt so lost that they could not catch a break. More than once, I just asked "Why do people care so much if they have a boy or a girl?" out loud to no one in particular. This book doesn't ever answer that question, because at its heart this is about making your own destiny. Ultimately, who cares if you are born a boy or a girl, you will be given tests to make yourself better. Never lie down in the face of adversity. 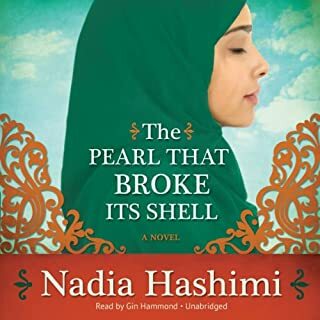 There is so much to unpack from this book, and I will definitely continue to look for Hashimi's novels because her writing style is wonderful. This book was so good! 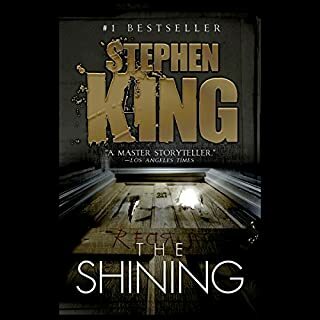 For most of my life, I've stayed away from Stephen King because I thought he was a pulp writer. The way I figured was anyone pumping out that many books so frequently couldn't have been worth reading. I am so glad that I gave him a shot! As a reader in a post motion picture world, it is really hard to gain the right kind of atmosphere for a good horror story. Even reading on a dark and stormy night doesn't induce chills like it might have in the Victorian era (never mind the fact that this book is from 1959, a generation removed from the Draculas and Frankensteins). Without the suspenseful strings or nerve-wracking door openings, a horror story loses some of the punch. 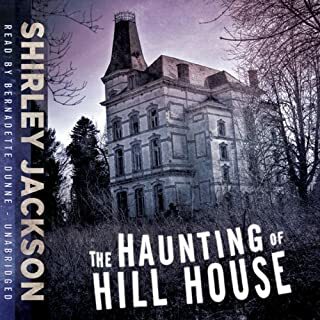 Especially one like The Haunting of Hill House, where there is only one point of view. That being said, Jackson takes the gothic and runs with it. There is a lot to unpack in this relatively short novel, from thoughts on family to feminism to possible lesbianism (like all good Victorian imitations, we would never outwardly admit to such scandals!). 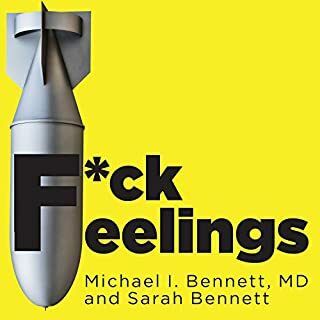 I can definitely understand why this is an important book. As for the performance, Bernadette Dunn is a little dry for my tastes. Her inflections for the characters is so subtle that it is difficult to tell characters apart at times. This, especially, is something I expect from my audiobooks now that I have read a few. Most readers have such unique voices for each character that it is a treat. Here, Dunn reads them mostly in her own voice and only barely changes it up. I love spy thrillers. James Bond, The Man From U.N.C.L.E., even Angelina Jolie's Salt is in my top favorites. So I figured that my loves for those kinds of movies would translate to a love of the spy novel. Instead I found a mixed bag. 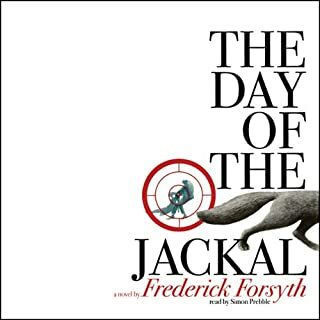 The Day of the Jackal is meticulously planned out and executed. Forsyth knows his details and sticks to them, sometimes to the detriment of the story. Pages and pages were devoted to the smallest thing, and this really killed the momentum of the book. And let's talk about that for a moment -- what would have been excitingly fast-paced in a two hour movie is instead spread out over a thirteen hour book. I never had any fear that the Jackal would be caught before the finale, because what would be left for the story? This made tertiary characters even less interesting when they were disposed of. Do not misunderstand me, though -- I enjoyed this book. Especially because I picked it up as a whim, and had no expectations to go into. (It wasn't until halfway through the book that I learned this is somewhat of a classic.) That made this find something more natural and refreshing than I would have found if I was told this was an important book. Simon Prebble's narration is inoffensive, if a little boring. I had to switch it off and find other entertainment at times, but it became a good groggy distraction with my morning tea.